Comprises the fullest spectrum of Baraka's rousing, revolutionary poems, from his first collection to previously unpublished pieces composed during his final years. For readers familiar with Transbluesency: The Selected Poetry of Amiri Baraka/LeRoi Jones (1961-1995), published 20 years ago and also selected by Vangelisti, S O S can be considered an updated version. The omissions in Transbluesency remain intentional omissions in S O S: Poems 1961-2013. In this sense the collection is selected with an emphasis not on culling the good from the bad but on presenting a certain narrative for Baraka, one not interested in his career in the archival sense ... The real prize of S O S is its final group of poems, labeled Fashion This, 1996-2013 ... S.O.S compiles the most complete representation of over a half-century of revolutionary and breathtaking work. Its final poem, 'Ballad Air & Fire,/ is a stunningly beautiful lyric dedicated to Baraka’s wife. [SOS]provides readers with rich, vital views of the African American experience and of Baraka’s own evolution as a poet-activist ... 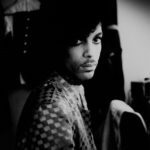 The book ends with poems written from 1996 to 2013, when his work was fully realized and his convictions about life and poetry took shape in a variety of surprising forms ... If you haven’t appreciated Baraka’s work in the past, give SOS a chance. You can open to nearly anywhere in the first third of S O S: Poems 1961-2013, a career-spanning new collection of his work, and find fresh evidence of his capacities ... What’s best about Baraka’s verse is that this historical sensibility and sense of historical dread bump elbows with anarchic comedy ... S O S is the best overall selection we have thus far of Baraka’s work, but he is served poorly by it. The introduction by Paul Vangelisti, the volume’s editor, is an anthology of unforced errors. Mr. Vangelisti neglects to provide the most basic details of Baraka’s life, so these poems are shorn of context. He also writes academic jargon of the sort Baraka despised ... Baraka’s poems are filled with tantrums and sophistries, stances and dances. There are many, many deficiencies of coherence. Some make only the dead, clicking sound cars make in the frost. But others plant a hatchet in your skull that you won’t be able to pull out for weeks. 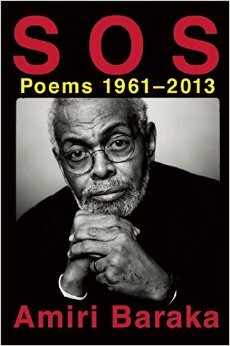 What did you think of S O S: Poems 1961-2013?